The Witcher 3 is a role-playing adventure game that puts you in the role of well, a witcher - a monster hunter - named Geralt. Once you delve past the initial exposition of The Witcher 3 - which has you searching for your surrogate daughter, Ciri - you'll soon realise that developer CD Projekt RED has gifted you a gorgeous, sprawling world to explore. 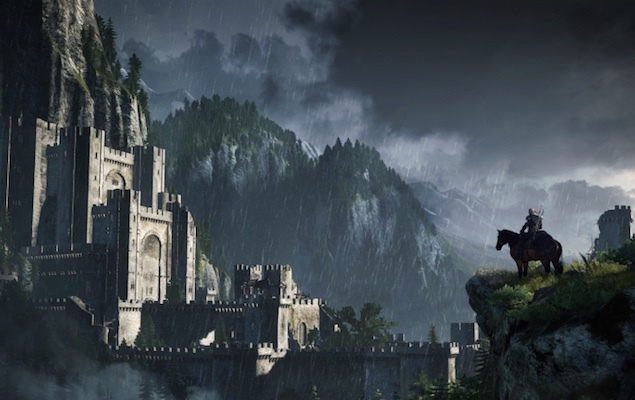 As we mentioned earlier, the world of The Witcher 3 is brilliantly realised. It's as if the gritty, dark world of Game of Thrones met the open world sensibilities of The Elder Scrolls V: Skyrim, matched with the abundance of choice from BioWare's Dragon Age series. 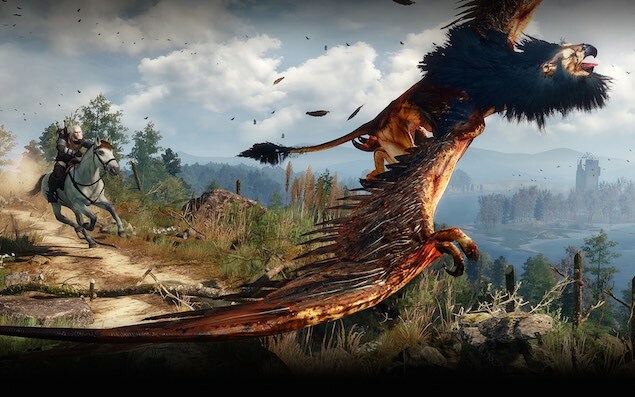 From slaying fantastic beasts such as werewolves and griffins, to simply dragging a goat - yes a goat, no, not a demon goat, or a were-goat, or a ghost goat, just a regular goat - back to its owner, to tracking down buried treasure, The Witcher 3's quests are medley of varied scenarios, that make the game a treat to play. Even though we've played it for over 200 hours now, we're still not done with this game. 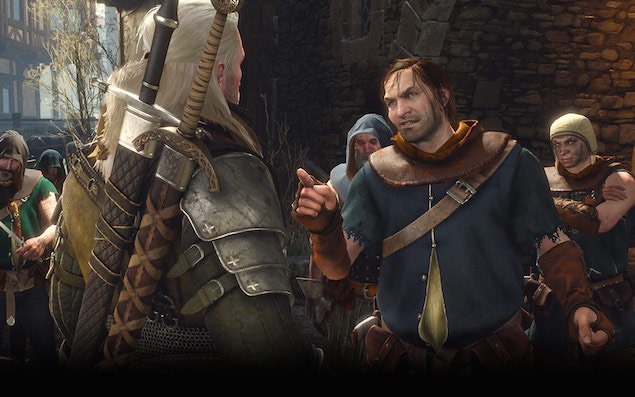 Part of the appeal lies in the way The Witcher 3 handles choice. Different games handle this in different ways - Mass Effect games broke things down into binary good and evil choices, while Metro 2033 would give you a host of choices (most of which you'd be unaware of till you reach the end) with nearly random results. Choices in The Witcher 3 are usually not good and evil, but more about picking from different shades of grey - and the game has a knack for surprising you every step of the way. Sometimes the choice can be to spare a demon, or reform a thief, or help a warlord to reunite with his family. Each and every choice you make has an impact, but not all their effects are seen immediately. Instead, the repercussions of your decisions can make their presence felt a good 100 hours into the game, making multiple playthroughs necessary to experience the game to its fullest. But all this would be for naught if the game was a barren, lifeless husk. Much like last year's Assassin's Creed Unity, The Witcher 3 also treats us to a spectacle of a game world. The low fantasy environs of The Witcher 3 are teeming with life. From desolate forests replete with wild dogs and gargantuan arachnids, to large town bazaars bubbling with merchants, preachers, and rogues, each section of The Witcher 3 is gorgeously detailed. The different areas feel unique, something that other open-world games often fail to deliver. This attention to detail extends to the game's combat as well, if you're up for it. As a witcher you have two swords, one that is used for ordinary human enemies, and the other which can kill monsters. You can get by most fights by simply spamming sword hits and using the occasional magic spell - or signs, as the game calls magic. But as the difficulty increases, you'll learn to prepare for battle by applying oils to your swords, which add damage bonuses against specific types of enemies, and by consuming the right potions to enhance your health and attack power. Most of all, you need to know the lore of the game, to understand your opponent's weaknesses, which you can learn by studying the in-game bestiary. This is further compounded by a host of bombs, armour, and weapons you can craft, all with their own special properties. While newcomers to role-playing game might find all of this daunting, old-timers will be right at home. One of The Witcher 3's more low-key but important additions is how it recaps the game's recent major events every time you load a save file. Along with this, smart quest design ensures you're never quite far from the main storyline, prompting and easing you into missions related without being grating. These are welcome features considering that The Witcher 3 is probably the biggest game you'll play this year, as our 200 hour playtime will attest. With so much to do these cues are necessary to keep track of its narrative. And on that note, CD Projekt RED manages to weave a tale that's nuanced, replete with characters both new and old, and featuring a mix of fantasy tropes about empires at war and ancient prophecies. Coupled with some memorable dialogues, it never drops a beat and is a triumph in story-telling that has you emotionally invested. Where The Witcher 3 really shines though, is how it respects your time. Over the years we've seen too many games stuffed with boring, filler tasks that exist to pad out the amount of time you've spent playing. There's none of that here. Each and every moment feels like time well-spent, unlike Dragon Age: Inquisition, a game where a large chunk of the quests amounted to filling up a checklist instead of allowing you to progress through the plot or explore the world. With an abundance of things to do, great combat, engrossing narrative, and a fantastic world to discover, The Witcher 3 is the video game equivalent to an all-you-can-eat buffet. It's seemingly never-ending and always appetising - without the nasty side-effects that come with overeating. Quite possibly the best game we've played this year and the benchmark for everything else that follows. 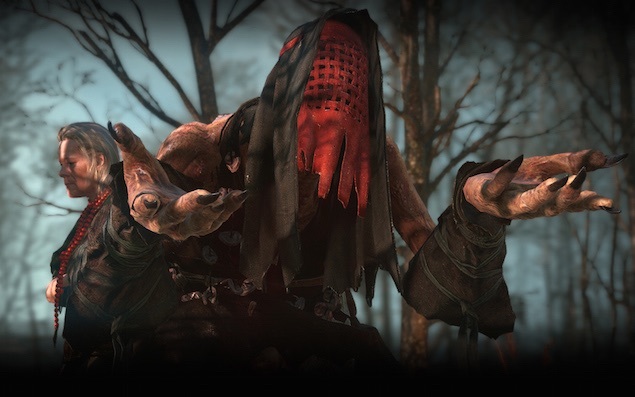 We played a review copy of The Witcher 3: Wild Hunt on the PC and PS4. It retails on the PC at Rs. 1,499. The PS4 and Xbox One versions retail at Rs. 3,499.
product We played The Witcher 3 for 200 hours, and still want to keep playing. Read on to know more.